Price Check – When shopping for an item, check the Amazon app and look up the price of the same item. If the item is more expensive in the store you are shopping, ask the store if they will price match. Some stores will price match with Amazon under certain conditions. Quality – Amazon is great for reading customer reviews to see the good, bad, and ugly about a possible purchase. Are there consistent complaints or are people just gripping over minutia that wouldn’t apply to you? Knowing in advance of possible issues allows me to make a more well thought out purchase. 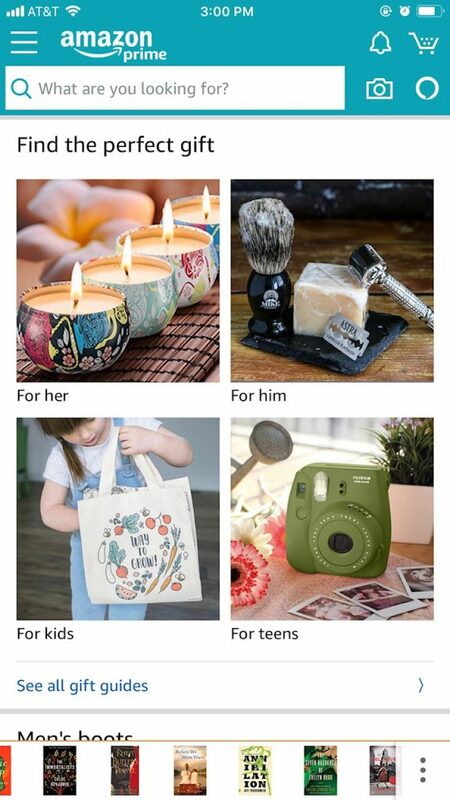 Wish List – If you are browsing the site and you see an item you are interested in but either can’t afford it now or think it would be a great gift for your birthday, or another special holiday, do you add it to your wish list? I have used the wish list many times and refer back to it when asked what I want for my birthday or Christmas. You can also add items you find in department stores to your Amazon wish list for future purchase. Streaming – Did you know you can stream videos using the app? If the movie or show isn’t available for free, you can purchase or rent videos. This comes in handy if you have a long wait at a doctor’s appointment, stuck in an airport, or just killing time while out and about. Make sure you have your headset, so you aren’t annoying others around you with what you are viewing. How are you making the most of Amazon’s smartphone app? Besides what is listed, what other ways do you use the app?